What did we do today that helped? What insights will help you improve and get better results? o “You Cans” focus Very helpful, time well spent! o Concentrate on benefits first for events. o 3 words to describe chamber from each board member and then use dots to determine brand. o Be the first memory file-be the first thing that comes to mind. Think how customer thinks – what is important to them. Little customers (rabbit) and big customers (elephants) are needed but sell to them differently. 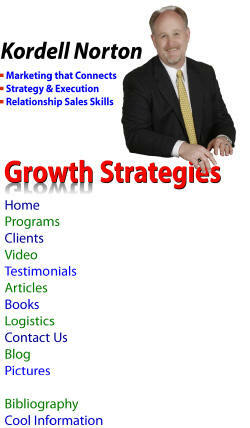 o Use more “You Cans” for our customers and new prospects to hear. o The “You Can” ideas instead of the I/We method. Motivation. 5 sensing. o Talk about “You cans” on new member pack. o Ask customer what he wants – Just Ask! o Have our members tell us what our brand is. Start & Stop. o Customers want sales growth – bottom line. Brand is an expectation & becomes an experience. o You Can Marketing. Making experiences out of events. o You Cans. Create new memory folder. o Use testimonials in brochure. C.A.S.E. Brand yourself, make more personal appeal to emotions. o Focus off us and on member. Change voicemail. o “You Can” voice mail message. Think/speak/act “You Can”. o Change your voicemail. All about perspectives and what makes “You” unique. o The reminder to tell our story from the “You” perspective. o Ah ha! Perspectives! You Cans! o You Cans, create new memory folders, testimonials on marketing materials. o Need to collect and use customer testimonials. Customers can tell us our brand if we listen. o “You Cans” – marketing materials changed to portray different perspective. o Change wording to “You Can”. Figure out our branding – product statement. o You cans with each event promotion. o Just what we needed to hear – Great ideas with entertaining delivery, interaction. Great!! o You were very interesting. We would love more information on bringing you to our Chamber! o More time with him in the session. o Great job! Definitely learned about how to view things differently. Suggest you wear “the vest” during whole presentation! o Awesome, Entertaining, Very knowledgeable. o Kordell was entertaining while sharing new insight into branding and marketing. o I enjoyed the afternoon. Good job. o Great humor – Very appreciated! o Membership drives, retention efforts/ideas. o FANTASTIC – Thanks!! Fun energetic. o You were awesome – More of it all! Right on humor. o Great! Keeps you engaged. o Once you get ‘em with the “you cans”, how do you keep ‘em!? o Energetic, entertaining, applicable insights. o Makes sense. Informative. Perfect ideas. o Concrete examples of applying DRASTIC to chamber programs could have been improved. Maybe next time. o More sharing from other chambers – just ½ more benefit “bounces.” More on how to make an experience. o Kordell has a great sense of humor that he makes part of a serious subject. o Explain more start/stop. Great Give examples to consider for stops. o I ADORE YOU. Thanks! o Kordell did terrific! A funny man who is not dumb!